on aspects of this reality. 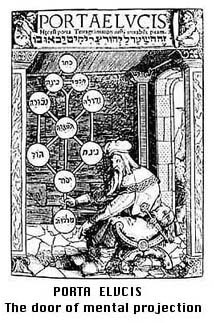 Reality is subject to the MANU * or "Natural LAW". 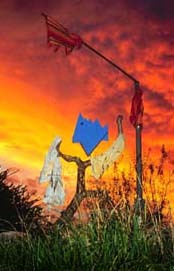 The MANU is the consequences created by action in the environment, effecting all planes; Spiritual, Mental and Physical. The MANU always sustains equilibrium. The Individualised consciousness (Soul) manifest "in" this Reality (Matrix) for its own refinement. Inherent in ignorance and error is their detriment, until burnout or enlightenment. Reality or the Universe we are experiencing is created by the Mind. Like an infinite Hologram, of which the consciousness is the centre. Each conscious aspect of this Hologram has its own intersecting Hologram but is held in this reality by the "MANU". "the universe you see and experience is but a holographic image created by the mind"
Humanity has searched for its origin in the obscure recesses of time and space and prefer to make consciousness the consequence of a Big Bang* in the past. 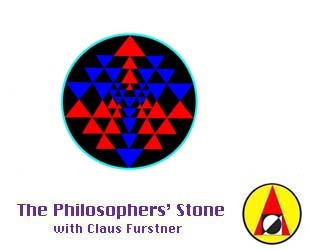 Science can not find a solid particle of Matter or Consciousness*. Would it be appropriate to identify the entrance of consciousness in a more tangible aspect of this reality like "NOW" At the point where consciousness enters time and space? The big bang* is equally a consequence of "NOW" and to be found in the construct of the mind. Life expresses it self in the crossover from the coming and going of time. Like the crack of the whip is created at the point where the backward and foreward movement meet each other, breaking the sound barrier. BANG ! 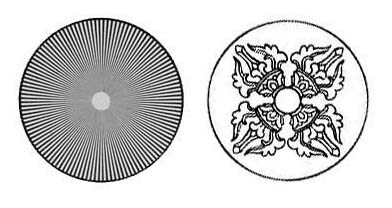 Moiré pattern and Vis Vajra* . The "Free" Will is dependent on desire. Desire is dependent on like and dislike. Like and dislike are dependent on judgment. Judgment is dependent on knowledge. Knowledge is dependent on consciousness. Consciousness is dependent on THE SELF. THE SELF is the potential to refine life.